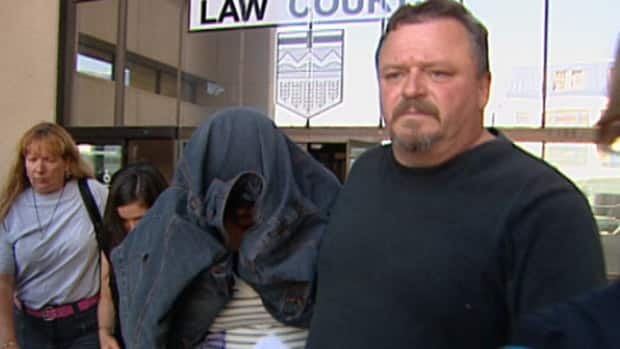 Infanticide conviction nets Alberta woman suspended sentence – Edmonton – CBC News. The Wetaskiwin, Alta., woman convicted of infanticide for killing her newborn son, was given a three-year suspended sentence Friday by an Edmonton Court of Queen’s Bench judge. She silently wept as Justice Joanne Veit outlined the reasons for the suspended sentence. Effert will have to abide by conditions for the next three years but she won’t spend time behind bars for strangling her newborn son. In her judgment, the judge rejected arguments from the Crown that the single father and the grandparent also face “the same stresses of the mind” as a mother who kills her own baby. Next week, the court will hear arguments on a remaining issue from Effert’s long legal battle: the 16 days of jail time she still must serve for throwing her baby’s body over the fence. Her lawyer, Peter Royal, asked the court to do away with the penalty or allow her to serve the time on weekends. It was “unjust” and “almost mean to incarcerate her” at this point, he argued. Two years ago, for the second time, a jury found Effert guilty of second-degree murder, but last May the province’s highest court decided the jury made a mistake. America, we have a lot of problems. Our best hope of fixing some of our problems now is at the state level. So, GRIP (Government Reform & Integrity Platform) and other organizations are drafting proposed state legislation to deal with dishonesty and corruption with judges and other government officials. Please review the points that have been submitted thus far, and add your comments to the article below…. The Problem: Dishonesty and Corruption in Government. GRIP and other organizations are combining forces to draft proposed state legislation that will enable We the People to fix many of the problems with the judicial system and dishinest and/or corrupt government officials. Your thoughts, ideas, additions, deletions, etc. are welcomed. Please just add a comment below. We, Canadians could use this too! YouTube – ‪Kill Bill Theme Song‬‏. LegalLeaks encourages victims of judicial abuse to post their court orders. You have heard of WikiLeaks. Well this is LegalLeaks! the world just how unjust our judicial system is. They thrive unchallenged because they have four things going for them. Secrecy. Do you realize that most family law court orders are not made public? Secrecy in Criminal Court. The judge does not provide a court order or a reason for the judge’s decision. Unlimited money. They have the money to outlast anyone and they get paid for doing it. Unlimited Power. No accountability by anyone including the government. and ask to become a user. I will set it up. the type of court order it is. Make sure to tag the person who violated your rights in the tag area. Add more keywords. Write a brief description in your post of the rights violated. Pdf files will show up in another window. If you have trouble submitting your files, see tutorial here. Enjoy. There is no anonymity here. Court orders contain the names of those involved.